John Newton wrote a letter to a minister who was about to publish an article criticizing a fellow minister for “lack of orthodoxy.” The minister asked Newton’s advice about the article. Newton gave his friend three pieces of advice. The writer should consider the opponent and deal with him gently for the Lord’s sake, if he was a believer (2 Sam 18:5). If an unbeliever to deal with him graciously so that God might “give him repentance to the acknowledgment of the truth” (2 Tim 2:25). Next, Newton recommended taking into consideration the various segments of the public who might read the article. There will be Christians and unbelievers; both will respond differently and not always kindly. Finally, Newton wanted the writer to consider himself in the battle. He wanted to keep his friend from being hurt by the very thing he thought a remedy. He warned of how Satan might try to resist, obstruct and harm his own communion with God. Confrontational pastors (sometimes called polemic preachers) have a weighty spiritual responsibility. By nature, they will cause controversy. In our day of religious tolerance, the only intolerable thing left is to accuse anyone of having or delivering a false message. Down through the history of the church, pastors who have confronted false teachers and their teachings have sometimes done so in a harsh tone. Think of Luther or Calvin and you get the picture. Men passionate about the gospel and upholding biblical truth did so because the stakes of God’s glory were central and man’s final destiny decisive. For certain people have crept in unnoticed who long ago were designated for this condemnation, ungodly people, who pervert the grace of our God into sensuality and deny our only Master and Lord, Jesus Christ (v. 4) . . . just as Sodom and Gomorrah and the surrounding cities, which likewise indulged in sexual immorality and pursued unnatural desire, serve as an example by undergoing a punishment of eternal fire (v.7) . . . But these people blaspheme all that they do not understand, and they are destroyed by all that they, like unreasoning animals, understand instinctively (v. 10) . . . Woe to them! (v. 11). Probably not the thing you’d hear from the pastor of your church on Sunday as he warns about a nationally known false teacher! Why did they do it? Because they loved God’s people who were vulnerable to deception. They also loved those who were not God’s people because they needed to hear the truth about the Living God whose words are life. Since it is that God who speaks “holy words,” there’s no place else to go that one could hear them. One thing you can learn from those who confront false teachers and teaching is what they value. It’s the flipside of the coin. As they denounce one thing, they uphold a noble commitment to another thing. The OT prophet Jeremiah was like that. God called him to denounce the false prophets in his day who failed in their obligations to God and his people. Instead of preaching that would turn them away from sin and toward God in faith, they soothed the worried conscience that sinned with comforting words: “peace, peace” they’d say when God was clearly angry with his people for ignoring him. This passage in Jeremiah 23 reminded me how important preachers are in the life of a church. The weekly exposition of God’s word may seem routine to some, but it is how God speaks to his people through his holy words handled faithfully by a faithful servant. Jeremiah’s opposition to the message of the false prophets reveals God’s approval for true shepherds. God’s people grow into Christlikness by his word preached, taught, read, listened to, discussed, memorized and meditated upon. There is no other way to be transformed except through the word’s Spirit illuminated and empowered word. 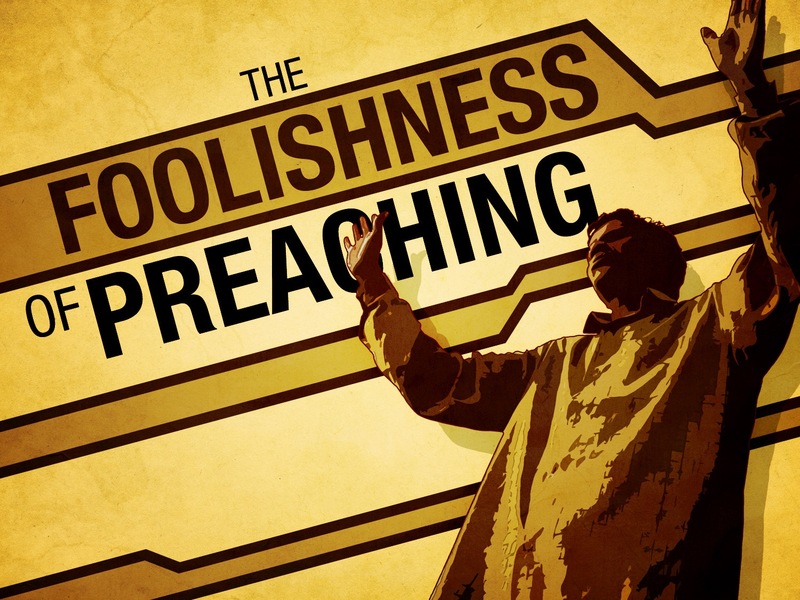 It’s faithful preaching is central to the spiritual faithfulness of a local church. In the next few blogs, I want to unpack at least ten preaching lessons from Jeremiah’s school for preachers and preaching. Stay tuned. And pray for your pastor, his study time and his preaching!